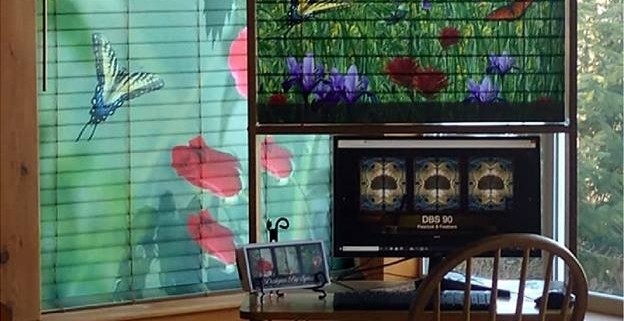 We printed these custom blinds for our friends at Designs by Spirit. They have perfected the ultimate custom blind system that allows you to have the most beautiful window blinds available. 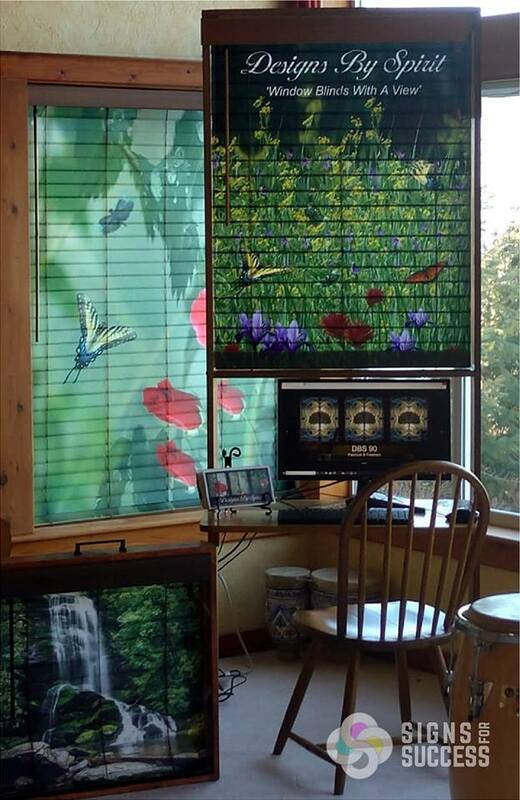 Custom blinds can make a statement in a home, office or business. You can choose from beautiful stock photos, or create your own graphics and message. These blinds have translucent acrylic slats with custom printed graphics that personalize your space. To enhance the effect, they are specially designed to create a continuous appearance when closed. Printed graphics are fade-resistant and will last several years, even in direct sunlight. 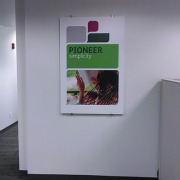 At Signs for Success, we offer custom printing on just about any surface. From custom window blinds to printed fence slats, we can print on any flat material up to 2 ½ inches thick. Aluminum and other metals, wood, glass, and plastics are just a few of the surfaces we print on. You can even bring your own material in for custom printing. One customer printed their artwork on brushed metal. Another opted for planked wood art prints. The options are nearly limitless. Signs for Success is a locally owned family business in Spokane. We strive for excellent customer service, perfect color, and quick turnaround on every project. Our large production facility allows us to design, print and install everything in-house. Get quality service and quick turnaround on custom blinds; contact us for a free quote today!